Jim Beam is one of the best-selling brands of bourbon in the world with seven generations having been involved in the production of their famous drink. 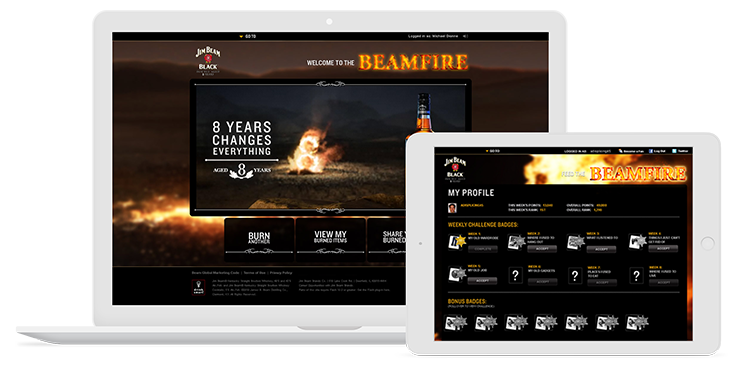 Our agency partnered with Jim Beam Black to design and develop a Facebook app which resulted in a 25% increase in brand awareness. 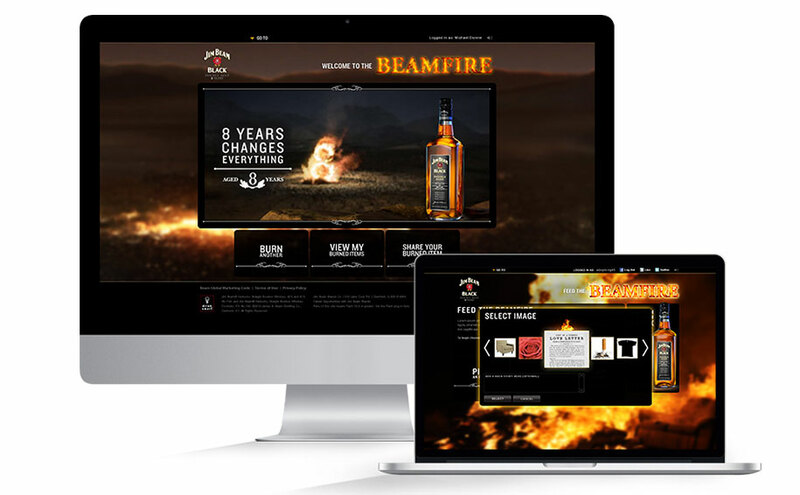 Jim Beam Black approached Mediaboom to design and develop a Facebook App which would allow fans of Jim Beam to absolve their past regrets in a virtual bonfire called the “Beamfire.” The App fell on Jim Beam Black’s 8th anniversary and touted the motto “8 Years Changes Everything.” Users could upload pictures or write text and then drag items into the Beamfire and watch them burn. 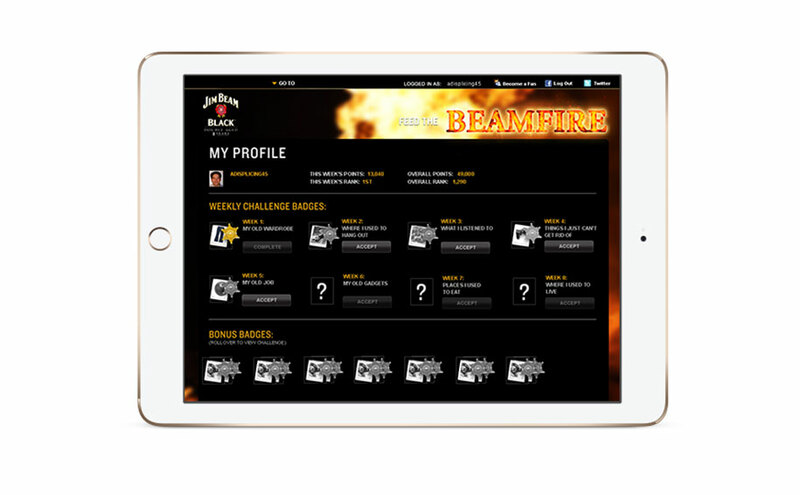 Leaderboards with user profiles were created and weekly prizes were awarded by Jim Beam to the users who burned the most items. 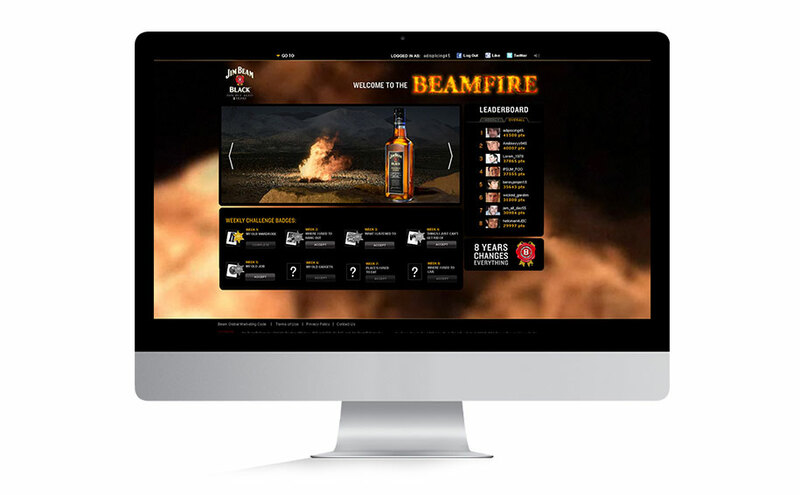 Jim Beam Black called the Facebook App a success due to increased sales and heightened brand awareness.